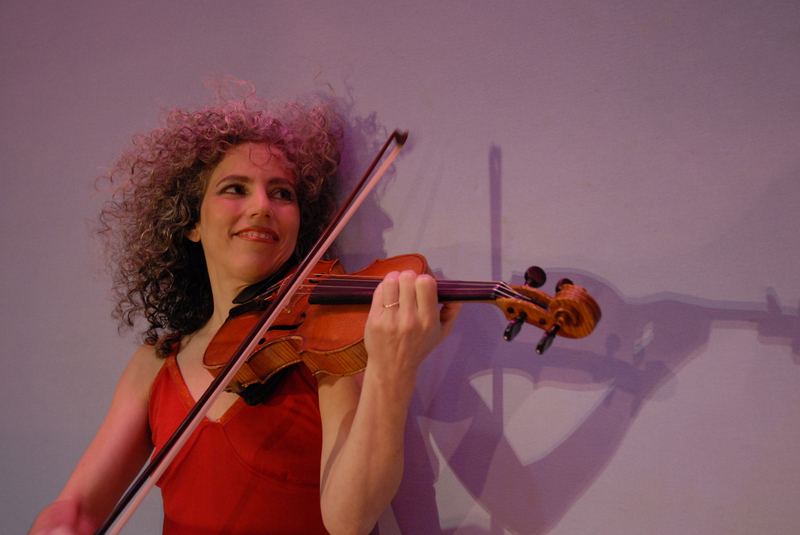 Renowned violinist Alicia Svigals, a founder of the Klezmatics, and the world’s foremost klezmer fiddler, presents Klezmer Fiddler Express, a program of ecstatic Jewish melodies, accompanied by some of klezmer music’s top players on tsimbl, fiddle, bass and accordion. With a malleable group, Alicia also stages an entertaining and interactive educational program for children known as Alicia Svigal’s Klezmer Party. Additionally upon request, a dance leader will take audiences far beyond the customary hora with instruction on the euphoric Jewish community dances that go hand in hand with the far-reaching tradition. To book Alicia Svigals, contact us via the Contact page.